This breakout board provides four bi-directional level translation channels for open drain or push-pull applications. The 14-pin level shifter chip is mounted on a carrier and plugs into a standard 0.6" wide DIP socket. This 4-bit noninverting translator uses two separate configurable power-supply rails. The A port is designed to track VCCA. 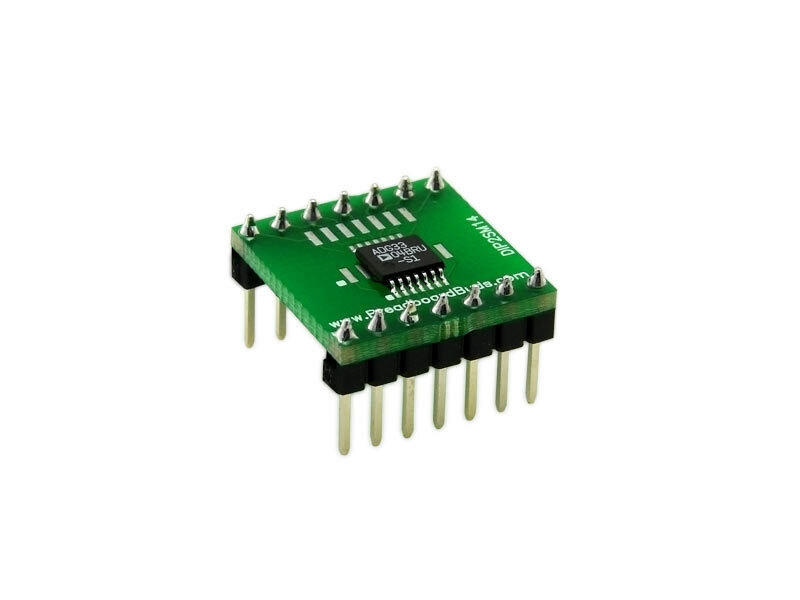 VCCA accepts any supply voltage from 1.65 V to 3.6 V. The B port is designed to track VCCB. VCCB accepts any supply voltage from 2.3 V to 5.5 V. This allows for universal low-voltage bidirectional translation between any of the 1.8-V, 2.5-V, 3.3-V, and 5-V voltage nodes. VCCA should not exceed VCCB. When the output-enable (OE) input is low, all outputs are placed in the high-impedance state. Chip data sheet available here.